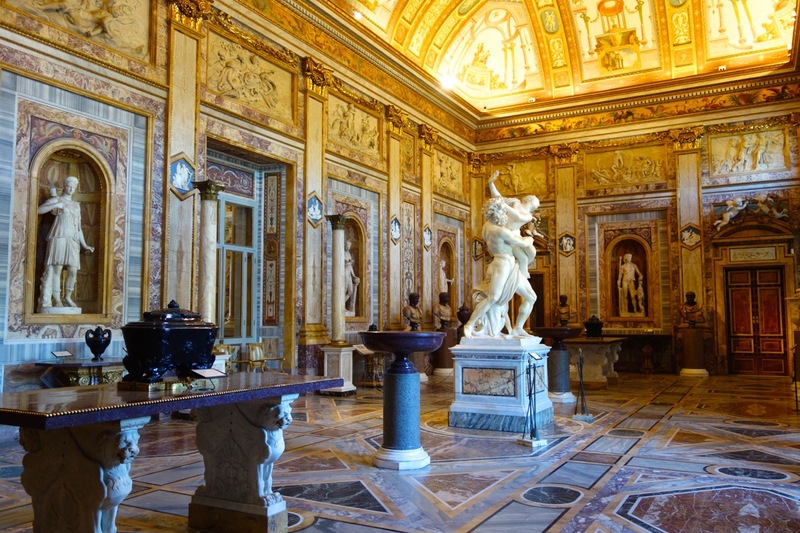 Looking for ideas for gifts in Rome? Souvenirs? Here are my favorite things to buy, and where to buy them. I try to be practical when recommending things to get as souvenirs and gifts in Rome. Usually, people are flying home from here, so they need something that travels well. I think edibles make great gifts and souvenirs. They are easy to pack, usually not breakable, and, will almost certainly be consumed and enjoyed. Here are my favorite places to get edible gifts in Rome. If you know anything about me, you'd know of course I'd start my list of ideas for gifts in Rome with chocolates. Yes, I am a chocoholic. 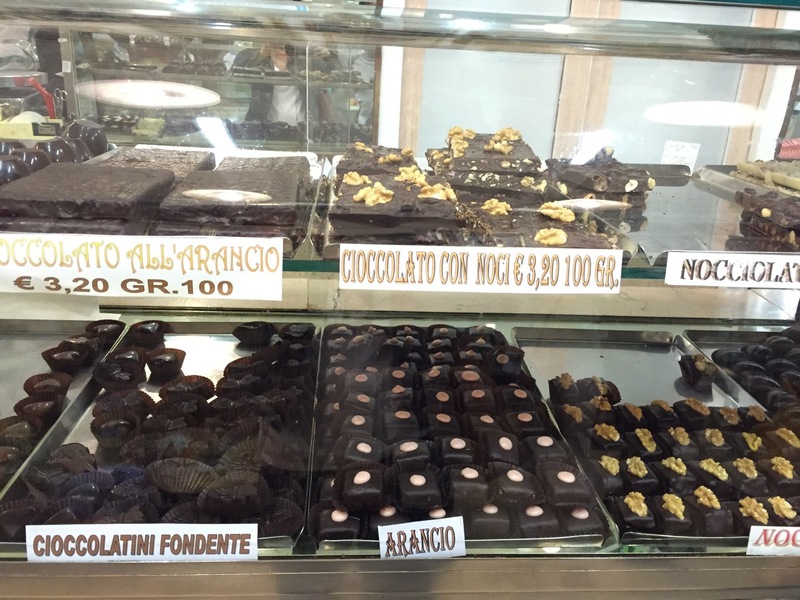 One of the most wonderful places to get chocolate gifts in Rome is at Moriondo Gariglio, right near the Pantheon. Another chocolate emporium not to be missed in Rome is Valzani Chocolates in Trastevere. They've been making the stuff since 1925 (in fact, most of the decor and fixtures in the shop are from when they first opened!). Just walk through the door and you will be greeted with a wafting aroma of warm chocolate. It's worth going inside just for that. But in winter, I go there also for the hot chocolate. Just get it. You will thank me. Hours: Tuesday - Sunday: 10:00 - 20:00. Monday closed. Why don't I suggest getting meat as a gift from Rome? Because in many places, such as the US, you cannot bring in meat of any kind, even if it's vacuum sealed. No, you can't. Trust me. You could easily buy vacuum-sealed parmesan cheese at just about any grocery store in Rome, and you can definitely get it at Fiumicino airport too. But if you want to enjoy the experience of tasting difference cheeses, and visiting a real Italian deli, where the purveyors can assist you with your choices, and perhaps give you some tastes while telling you about the cheeses, you should head to some of the wonderful "salumeria" around Rome, such as Volpetti (Trastevere and Testaccio), Roscioli (Campo dei Fiori), Salumeria F.lli Ciavatta (Trevi Fountain). My favorite is Antica Caciara in Trastevere. Signor Roberto, the owner, has been working there since he was 13. The shop was founded in 1900 by Roberto’s grandfather Albino. Yes, you read that right, 1900. Go check it out. Address: Via di S. Francesco a Ripa, 140A/B. Hours: Hours 7:30 AM - 8:00 PM. Sunday closed. I think the most common drinkable gifts in Rome you can buy are wine and limoncello. Maybe we can add grappa to the list, but regardless, you are going to get them in the same place. A wine shop, or enoteca. Wine of course makes a great gift, and of course a souvenir for yourself. Limoncello is a nice gift because it usually comes in small, cute bottles. Ditto for grappa. But if you are getting limoncello or grappa for people as gifts from Rome, make sure they will actually like/drink it. Limoncello is very sweet, and has a high alcohol content. it's meant to be consumed as an after-dinner "digestive." Grappa is not sweet at all, and in fact, can even burn a little. It's got a high alcohol content as well, and like limoncello, is meant to be consumed as an after-dinner digestive. You could consider getting an "amaro", another digestive liqueur which is something like Jaegermeister. If you are unsure about any of these, it's best to head to a wine store where they can assist you with your purchase, and give you a little education about these items. My favorite is Trimani, Via Goito, 20 (Phone: +39 06 446 9661) one of the largest wine shops in Rome, and supposedly the oldest. You can also try smaller wine shops you will find around Rome. 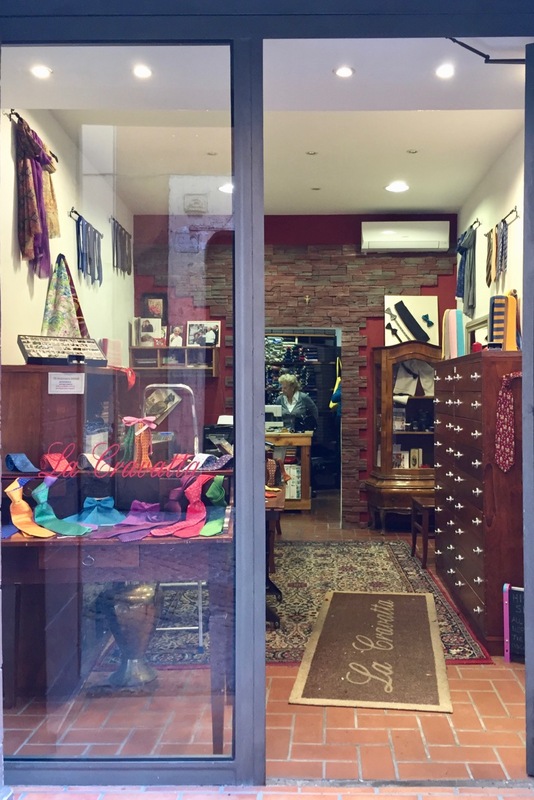 You can easily find excellent tie shops all around Rome. 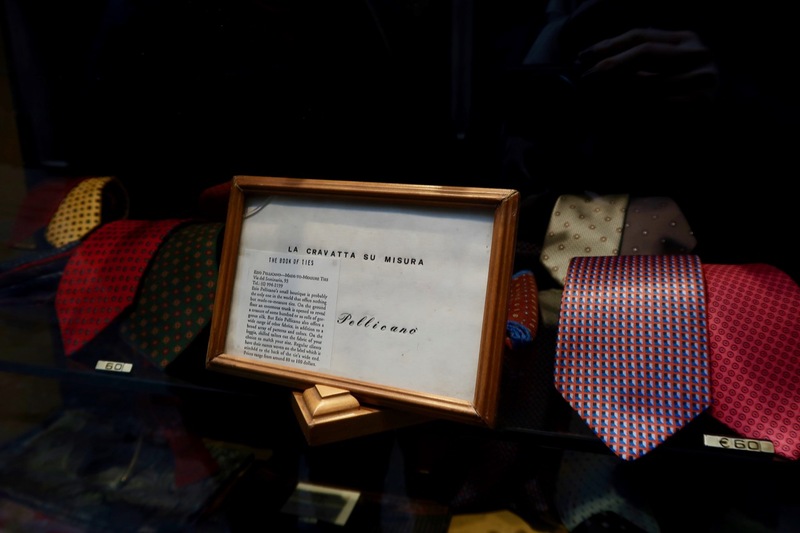 If you are really looking for something special, here are my top three suggestions for where to buy a tie in Rome. Just next to the Pantheon, if you don't blink and miss it, you can spot this tiny shop where you can buy the most exquisite ties. You can get some already made, or have them made to order. And, they are affordable. 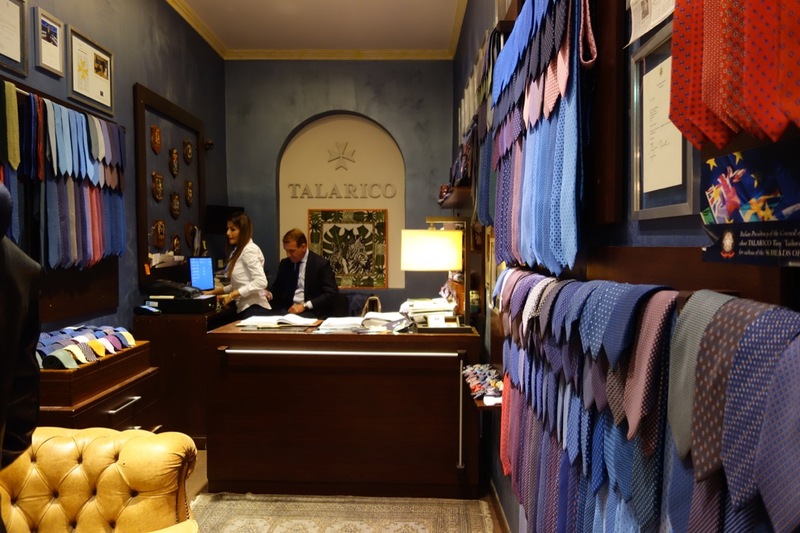 Another example of a superb place to get bespoke made-to-order ties is Talarico, on via dei Coronari. You can also pick one from the selection on hand. Part of the charm of shopping here is just the whole area itself. 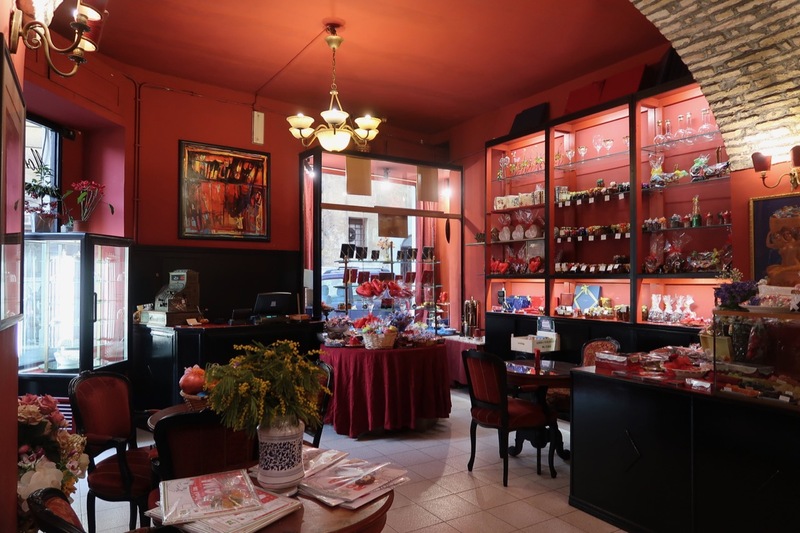 The shop, Cravatta (which means "tie" in Italian), is right in front of Santa Cecilia, and on the quiet side of Trastevere. It's a joy just to explore this area, and this shop is often one of my stops, even if I don't usually need to buy a tie. Not sure what to get for gifts in Rome? Not enough time to go poking around cute neighborhoods looking for stuff? Head to the recently-opened Rinascente right in the center of Rome. You will find just about everything on this list above, and more.